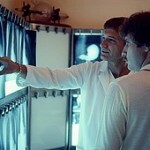 Cancer treatment requires special care during both radiation and chemotherapy. Radiation can cause sensitivity in the area being radiated, even redness and sometimes burning if your skin is fair. Chemotherapy, because it is internal, can cause dryness, itching, sensitivity to UV rays, and skin pigmentation changes. Being mindful of what you put on your skin at this time is particularly important. It is best to stay away from products that have fragrance or scent. Not only will this affect your skin, but heightened sensitivity to scent is also one of the side effects of cancer treatment. Something for your family and friends to be aware of. 1. Be gentle to your skin – wear loose fitting clothes to avoid rubbing, cotton is better than synthetics or wool, avoid heat extremes (hot and/or cold), use gentle, natural skin lotions to keep your skin moisturized. 2. Make sure your skin is clean – be aware if products are irritating your skin – switch to more gentle ones such as natural or organic skin care, stay away from perfumes, lanolin or alcohol in products. 3. Hydrate your skin – drink plenty of water (8-10 glasses per day), apply moisturizer while skin is damp, keep lips moist with lip balms or lotions. 4. Nail care is important – many people find they even lose their nails. Wear gloves when working, use hand lotion liberally, apply cuticle creams. 5. Protect your skin from the sun – stay out of the sun between 10 am and 3 pm, wear a brimmed hat and clothing that covers your skin, wear wraparound sunglasses to protect the eyes, and most importantly, wear suncreen with SPF 30+ strength. These are a few tips to help you during this time. Most of these issues will disappear once treatment is over. However, during treatment, make sure you look for organic skin care products that will be gentle on your skin and offer the most protection. When it comes to ongoing cancer care, both during recovery and after, it’s important that we restrict ourselves to only the healthiest, most toxin-free environments we can find. This is especially the case when it comes to health and beauty and skin care products. Since our skin is our largest organ it is easily one of the most susceptible to toxic chemicals and preservatives. When we put toxins on our skin, we invariably absorb those toxins into our bodies exacerbating existing conditions and perhaps even causing new ones. As a pioneer in the field of cancer research and treatment, Dr. Saulius Alkaitis has created an innovative line of skincare products that can change the way we live our lives. By positing that a leading cause of cancer is exposure to chemicals and toxins, Dr. Alkaitis was able to develop a holistic, plant based line of cosmetics and products for comprehensive beauty and skin care. By steering clear of chemical laden products, it’s possible that we can reduce the chances of cancer returning or worsening, making these products an invaluable ally in cancer therapy and an excellent guide on the road to health, wellness and longevity. During cancer treatment (radiation and chemotherapy), skin texture changes. It will become more sensitive and need extra care. 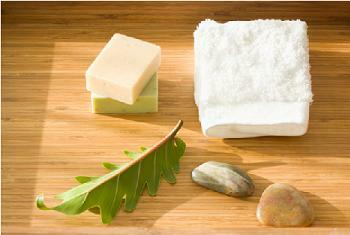 You will want to look for organic skin care products that are non-oily, easy to rub on your skin, and absorb readily. Perfume can be an issue, so lotions and creams with no scent are best. 1. Dryness and Sensitivity – both chemotherapy and radiation will create skin dryness. Hence the need for super hydrating lotions that will absorb easily and flow onto the skin without excessive rubbing as the skin will be more sensitive than before. 2. Intolerance of scents/perfumes – find skin care lotions and creams with no scent. You could try a light citrus or lavender scent – some people can tolerate these mild scents. 3. 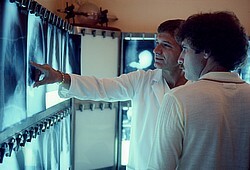 Powders during radiation – they suggest using powders that do not contain alum. One good option is corn starch – a basic. 4. Sun Sensitivity – Chemotherapy most often causes sun sensitivity. Suncreen and light colored clothing will help immensely. These suggestions are good ideas for selecting skin care products going forward. Your skin will appreciate the extra care and attention. As the leaves fall, ice melts and temperatures boil, our skin also begins to change, requiring different products for every season. This doesn’t mean you need to alter your entire routine, but you might need to change out a few items. 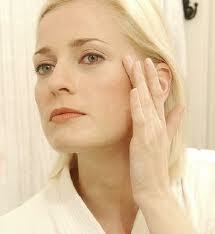 For instance, when winter arrives, your once normal to oily complexion can become drier. Come the summer, however, and you’re constantly running out of blotting papers. To save dry skin during wintertime, invest in an oil-based moisturizer; and during the summer, for skin that tends to be oily, follow your soap-free cleanser with an alcohol-free toner. Regardless of the product you’re buying, it’s always best to go with organic skin care products. When you use organic products, you can rest assured you aren’t introducing any harsh chemicals or additives to your skin. Breast cancer has been linked to cosmetics and in particular, parabens in the products we put on our skin. Our body absorbs these chemicals and not all of them are eliminated from our body. Since women are the major users of skin care products and makeup, it stands that we are the most exposed. 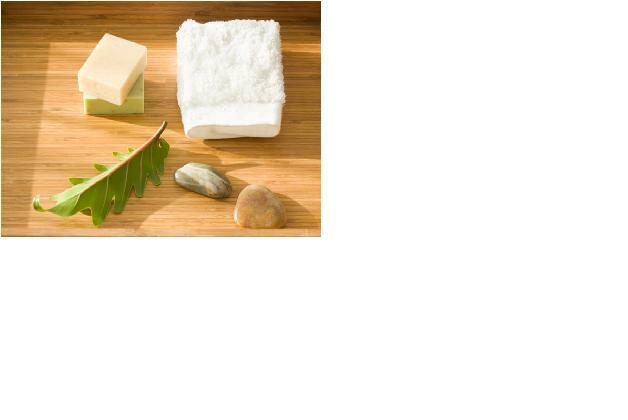 Paraben is used mainly as an antimicrobial preservative in cosmetics and personal care products. In research, paraben has been found in 18 out of 20 tumours tested and indicates that it mimics estrogen-like activity in our body. Breast cancers respond to estrogen. With the rise in breast cancer among women, 1 in 3, it pays to be alert to products that can cause us harm. Look for organic skin care products with no parabens and be on the safe side. Your health may depend on it. That sure gets one’s attention! Having cancer is bad enough, but finding out that the products we use on our body are actually contributing to cancer is even more scary. Several manufactuers, Dr. Alkaitis for one, have woken up to the fact that there is a need to have safer alternatives in the marketplace. Research yourself – look for organic skin care lines. Check the ingredients to ensure that they are indeed organic and safe. Regulations are still lax around the definitions that can be put on packaging. It pays to be educated – it could mean your life. Cancer statistics indicate that 1 in 2 people will get cancer (any cancer) in their lifetime. Just having come back from the hairdressers, I was reminded of all the toxins and chemicals that are in hair care products, skin care, nail care, etc. My hairdresser was talking about finding a practioner for chelation to rid her body of the buildup of toxins from her years in this industry. Her joints are really bothering her – a side effect. Imagine what all these toxins are doing to all of us, especially women who wear make up. Think lead in our lipsticks. And, products we use on infants. Scary. Organic skin care and make up products are also crucial after one has been through cancer. In fact, they are saying that these toxins cause some of our cancers. For sure, toxins are not natural and shouldn’t be in products where they can be absorbed by our body. Let’s do what we can to create a safer and healthier world for not only ourselves, but for our children. Be proactive, use organic products that are proven to be so. To see what is in the products you currently use, go to www.safecosmetics.org. You’ll be surprised and shocked. Cancer treatments, by their very nature, affect the skin. The texture, color and elasticity change along with sensitivity to sun. We pay attention to the food we put in our bodies ensuring that it is high quality, low in toxins, and pesticide free. What we sometimes forget is the chemicals that we absorb through our skin and the importance of holistic, organic skin care products. Recently, I found a Holistic Organic Skin Treatment product line developed by Dr. Alkaitis. During his research on plants and cancer, Dr. Alkaitis found that there is a definite correlation between synthetic chemicals and disease, including cancer. Irritants such as perfumes and the synthetic chemicals, fillers, etc., can also cause skin irritations, something one wants to avoid when going through treatment. What works going through treatment is also what will work ongoing. Once you’ve experienced wholesome products, it is very difficult to go back and settle for less. It’s well worth your time to experience the difference for yourself.